Enjoy the best inspirational, motivational, positive, funny and famous quotes by Ada Limon. Use words and picture quotations to push forward and inspire you keep going in life! I mean, it's hard to talk about death without realizing that's our end too, right? I am constantly aware of death. It's not that I want to be, but it's a fascination of the mind and it plays a role in why I want to live my life a certain way. 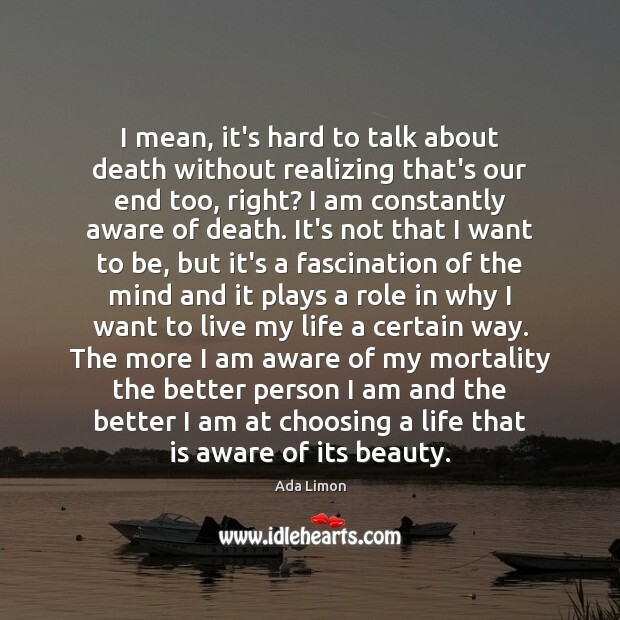 The more I am aware of my mortality the better person I am and the better I am at choosing a life that is aware of its beauty. Precise, graceful, and generous, the poems in SuperLoop, seem to be born out of a deep, careful attention and a profound compassion. Sometimes the quiet observer, sometimes the kid in the center of the messed-up carnival, these poems are the fireflies you’ve missed all winter, the longed-for return of the bees. 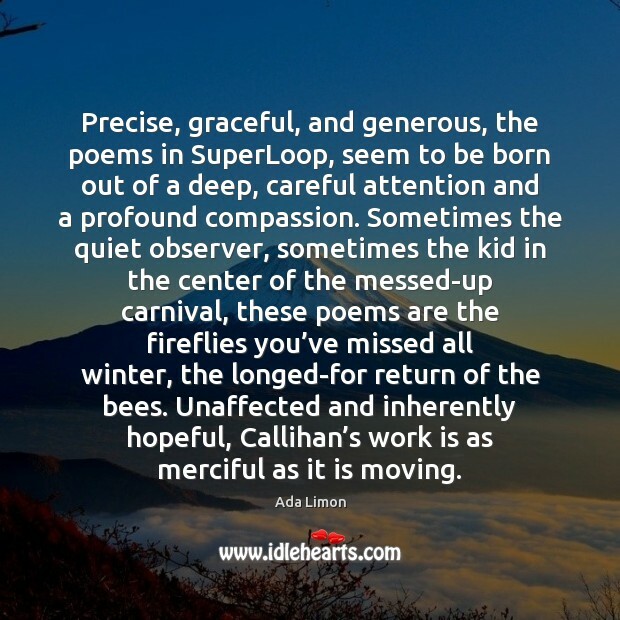 Unaffected and inherently hopeful, Callihan’s work is as merciful as it is moving. 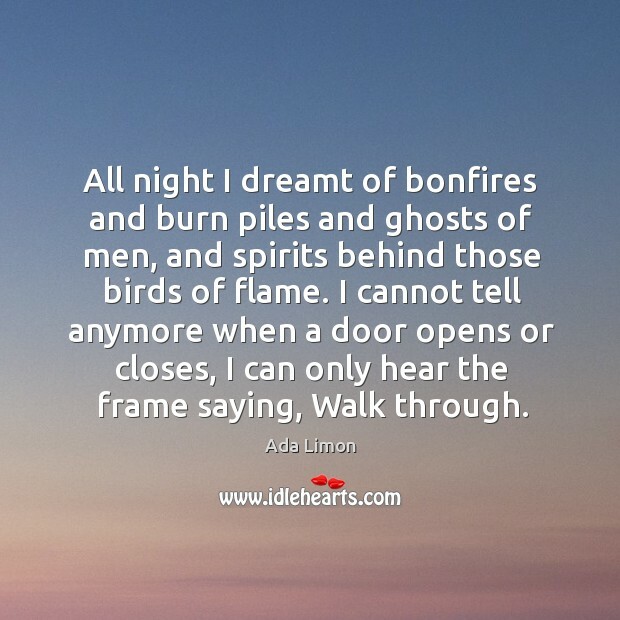 All night I dreamt of bonfires and burn piles and ghosts of men, and spirits behind those birds of flame. I cannot tell anymore when a door opens or closes, I can only hear the frame saying, Walk through.